Stan is well known for his vast knowledge of postcards in general, and particularly artist signed cards. 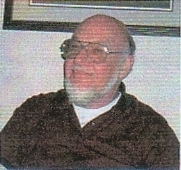 WEST YARMOUTH -- Stanley Leo "Stan" Davidson died peacefully at home on Thursday, October 4, 2012. He was the devoted husband of Jane (Baker) Davidson for 52 years. He is the Father of Howard (Lynne) Davidson of Hudson, MA, Cindy (Greg) Boland of Hudson, MA, and the late Stephen and Graham Davidson. He is the grandfather of Phillip, Benjamin, Alicia and Brian. He is the brother of Deborah of Brookline, MA, and Herbert of North Andover, MA. He is also survived by many cousins, nieces, and nephews. He was born in Auburn, Maine on July 14, 1933 to the late Nathan and Gertrude (Park) Davidson. He graduated from Edward Little High School in 1951 and Massachusetts College of Pharmacy of 1955. Mr. Davidson was a Pharmacist and he owned Howard Pharmacy in Brookline, MA. He was a Silversmith (The Silver StanD) and did craft and postcard shows up and down the East Coast for 31 years. Designer of the Crunch Bracelet. He was an Antique Postcard dealer and a checklist writer. A Graveside Service will be held in Bennington, VT. In lieu of flowers, please send donations to Pan-Massachusetts Challenge, 77 4th Avenue, Needham, MA, 02494 in the name of Howard Davidson (HD0013). Online donations can be made to PMC under Howard Davidson at www.pmc.org.